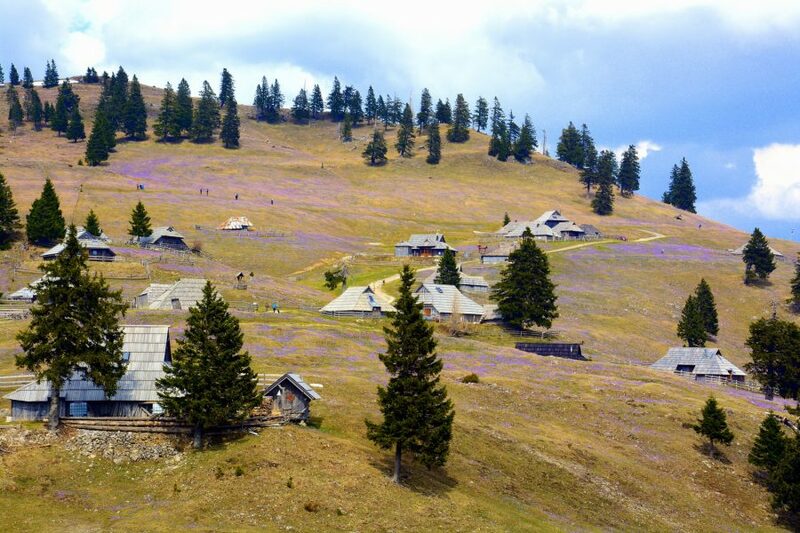 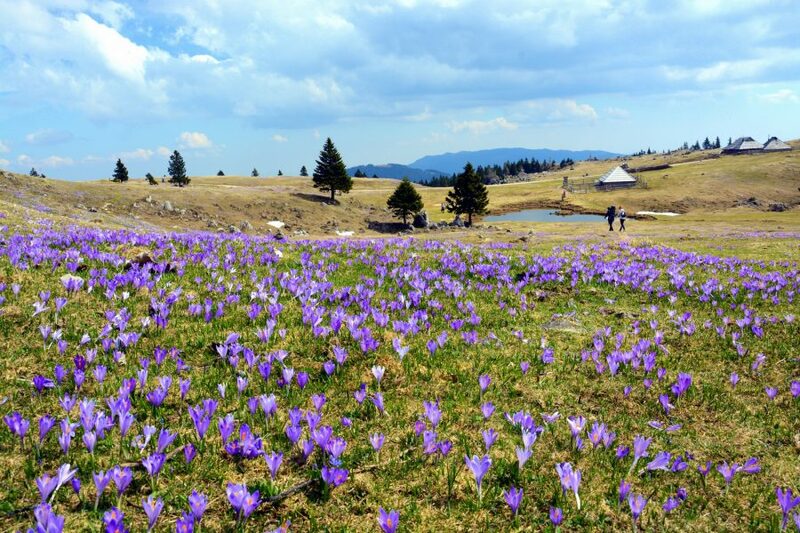 If you like nature and spring in its blossom, then you shouldn´t miss blossoming meadows of saffron crocuses on mountain pasture Velika Planina. 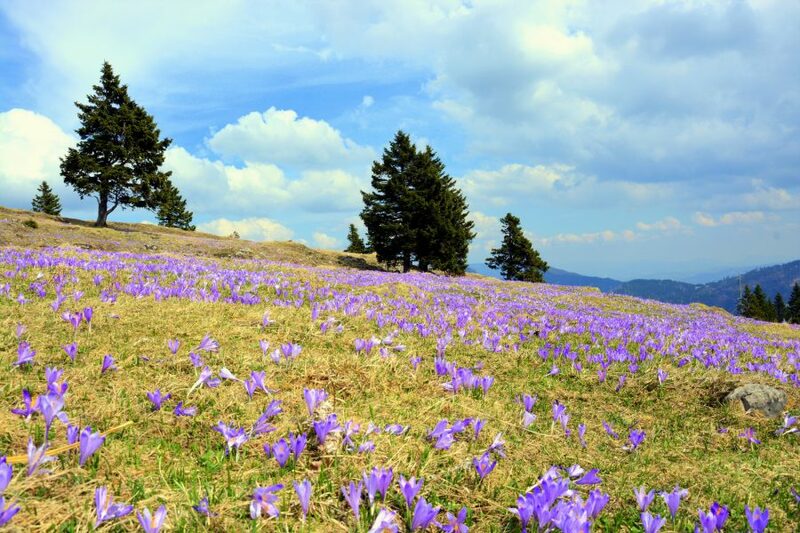 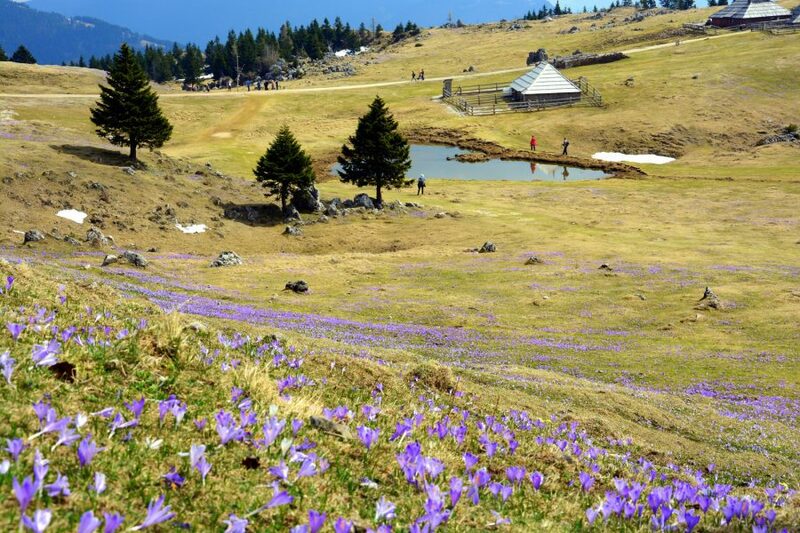 Every year in the beginning of April mountain posture Velika planina and its surroundings become violet-blue because of saffron crocuses, which is realy great to see and wonderful motif for photographs. 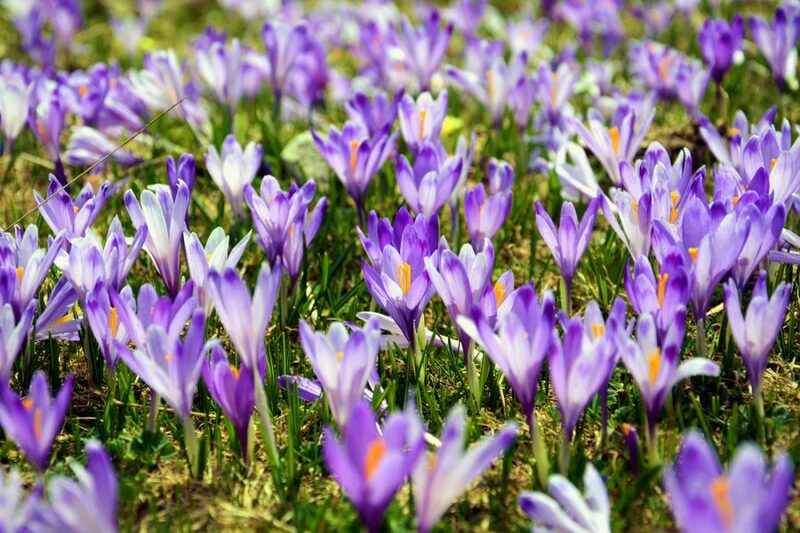 Saffron crocuses blossom from 10 to 14 days, so it is important to catch the right moment. 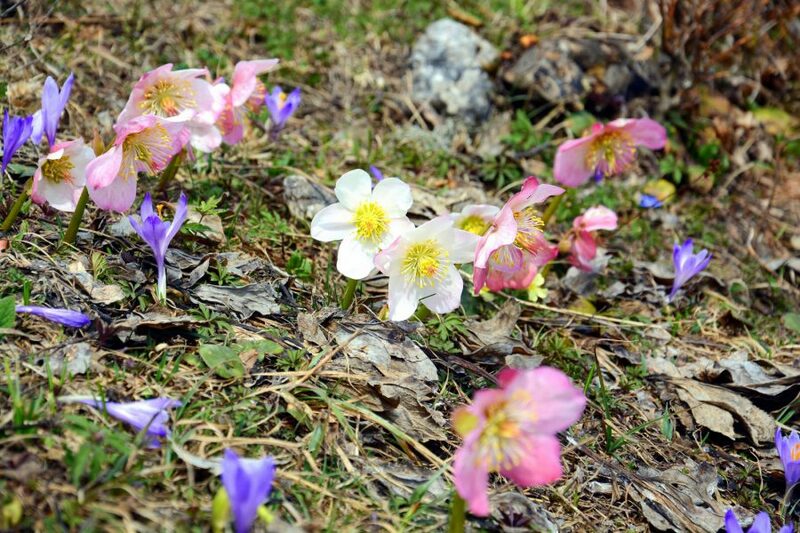 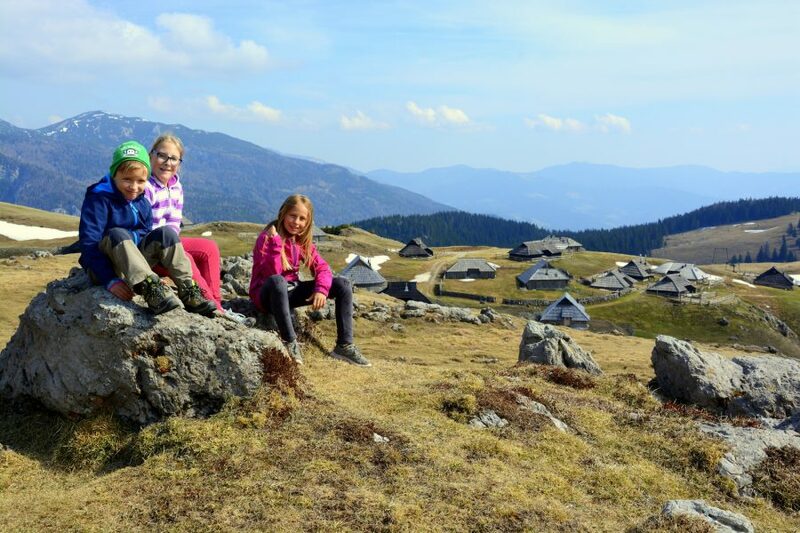 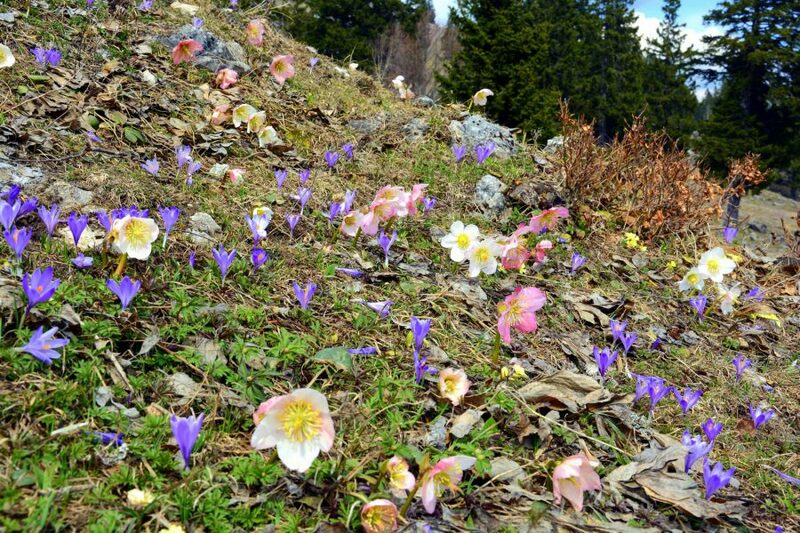 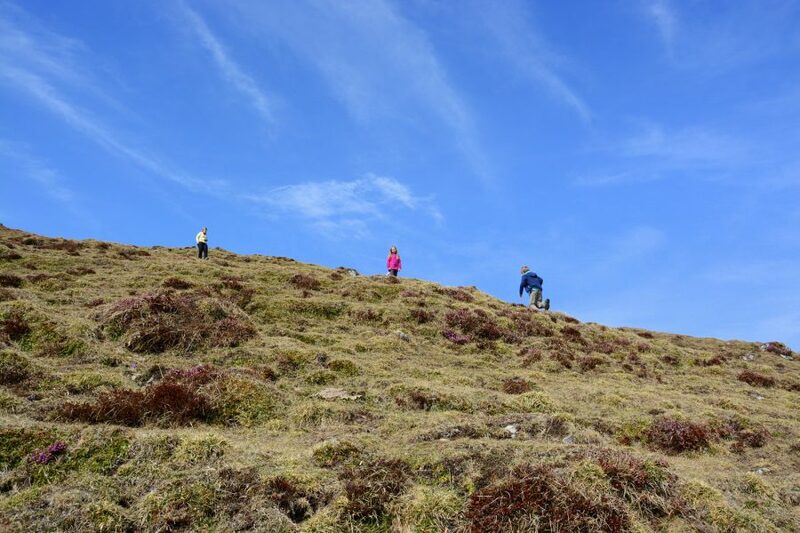 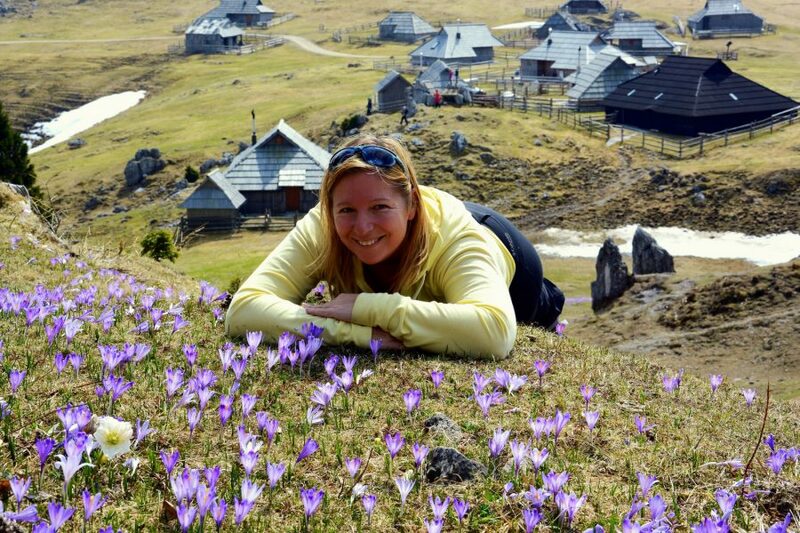 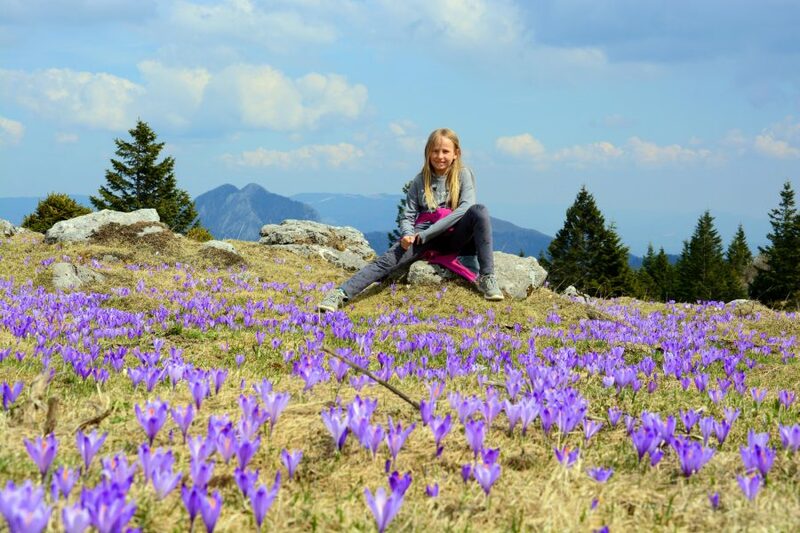 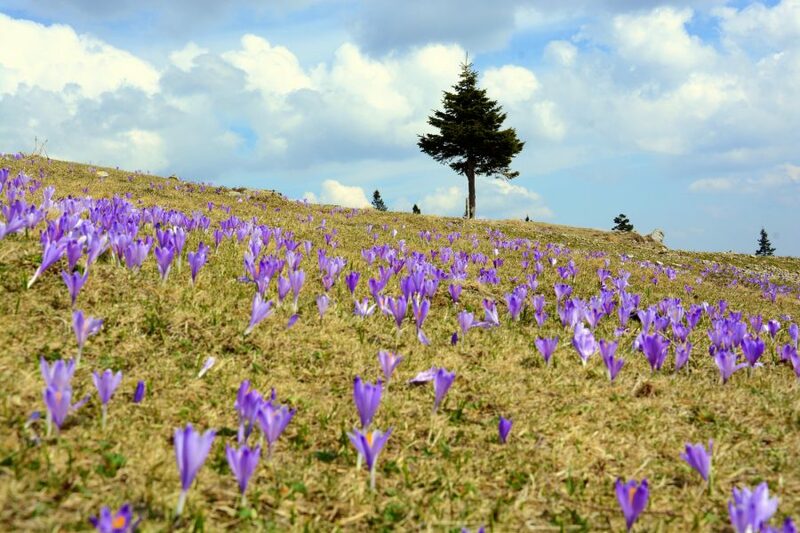 When we had our Sunday excursion mountain posture Mala and Gojška Planina were wonderful scenery of violet blue carpets, but on Velika Planina saffron crocuses only started to bloom. 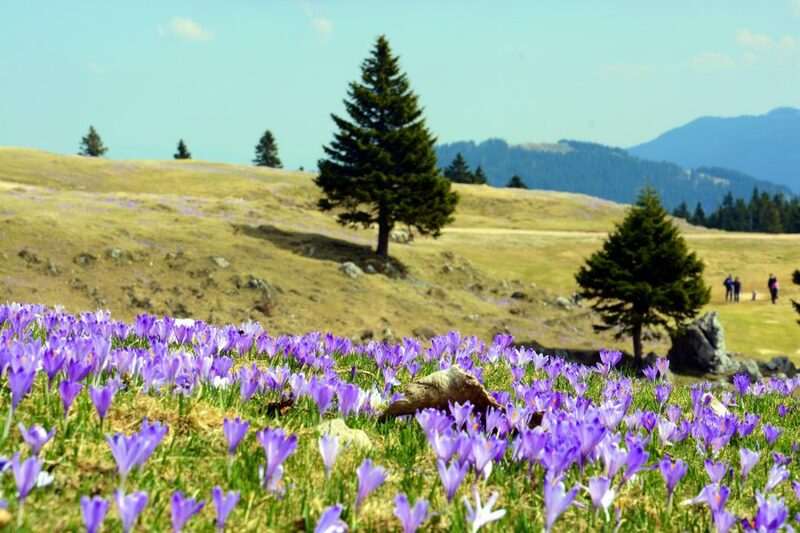 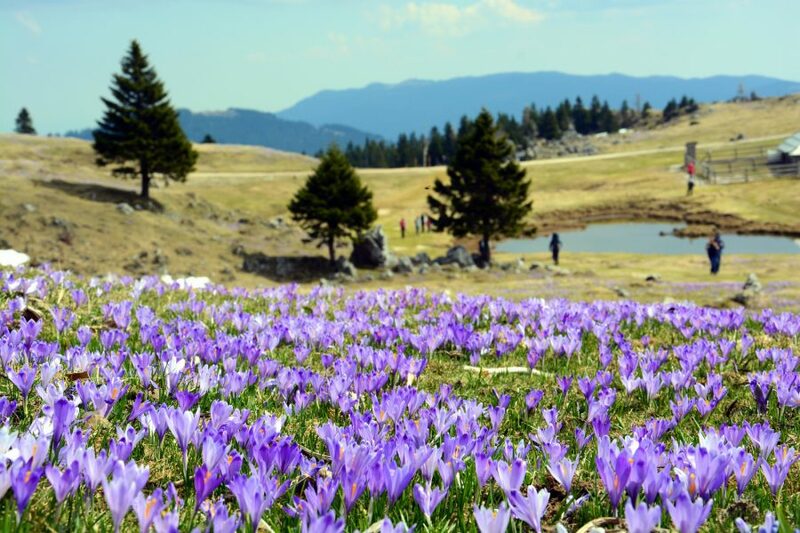 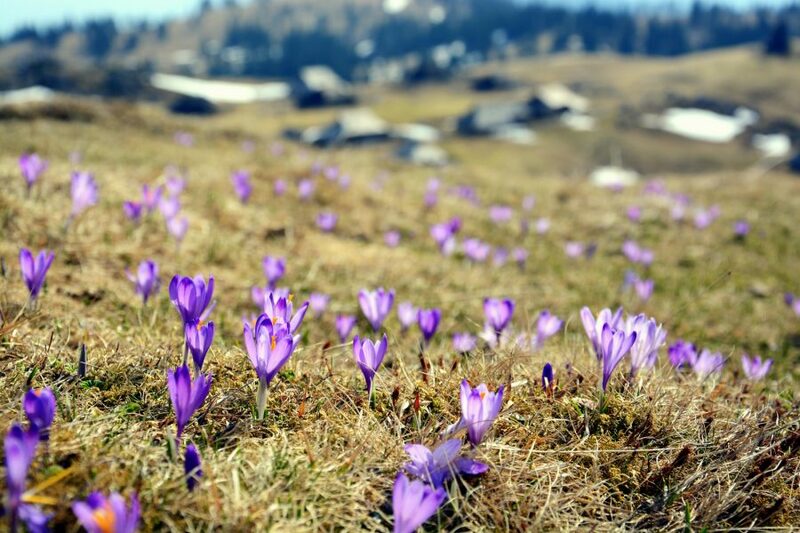 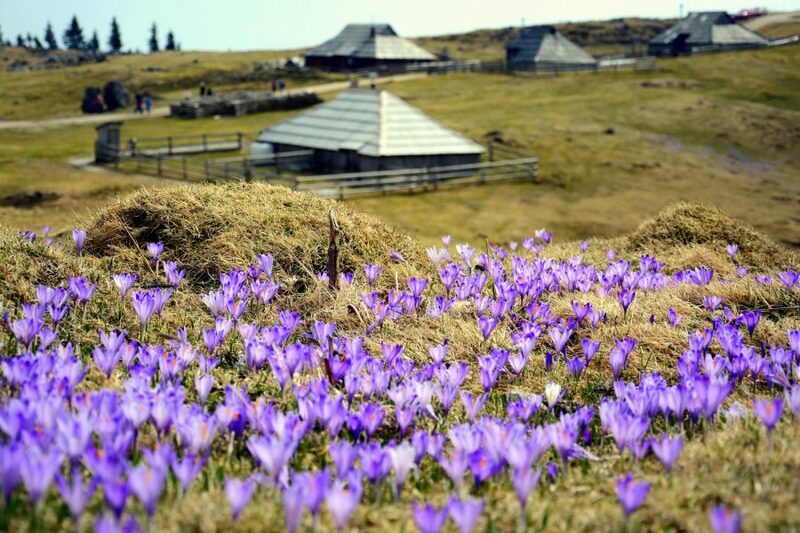 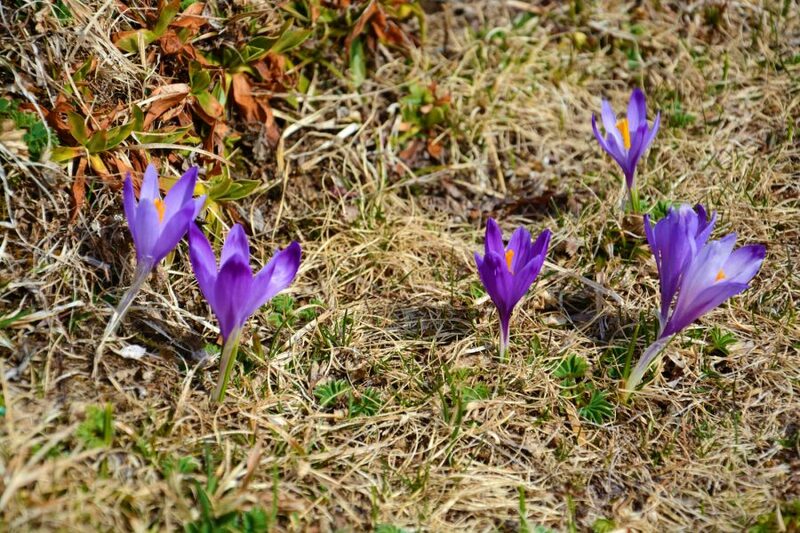 So don´t wait too long, only a week more and saffron crocuses on Mala and Gojška Planina will wane, I assume you will find them more on Velika Planina at that time. 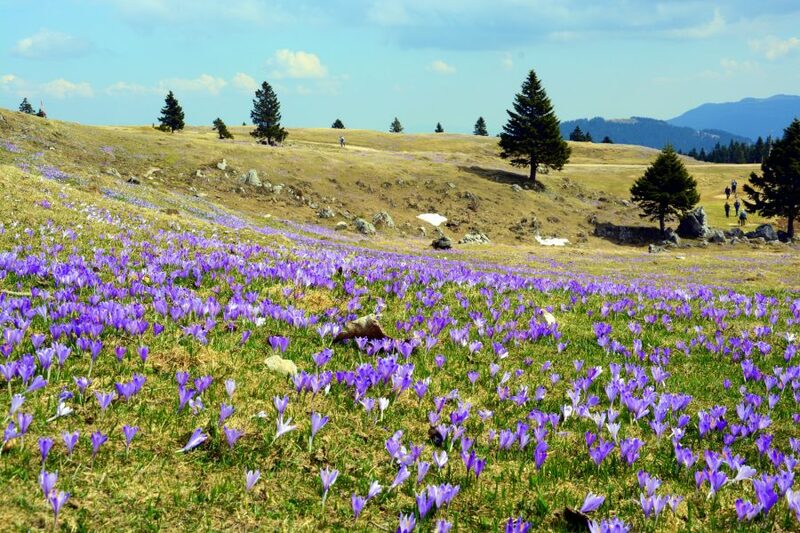 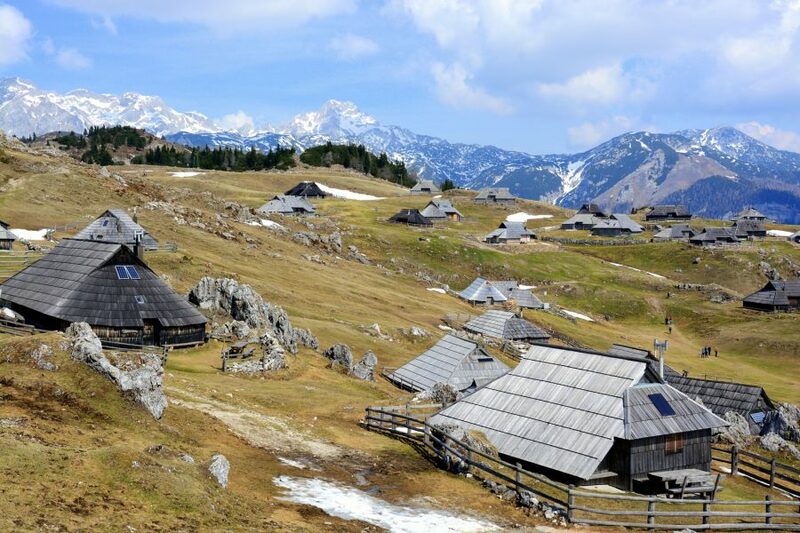 We prefer Mala and Gojška Planina because they are more remote and quite than Velika Planina, so we were really grateful to catch those violet-blue carpeted meadows here. 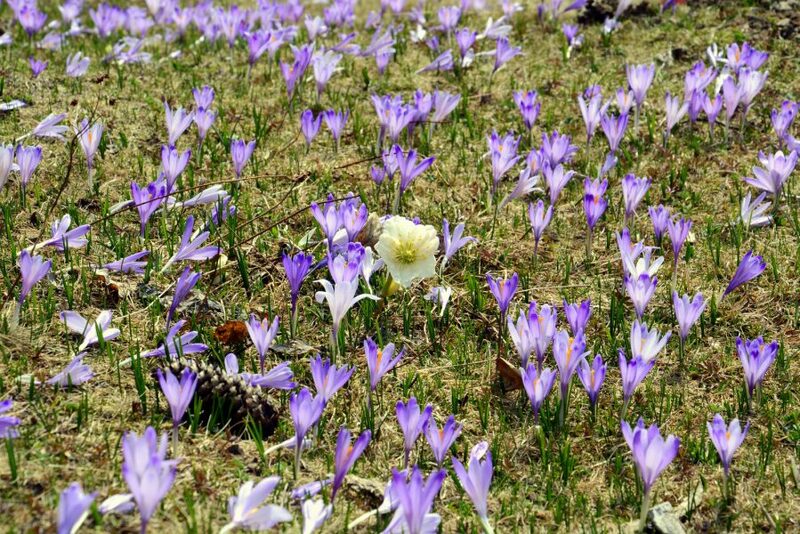 But saffron crocuses with white, pink and red hellebores and other heralds of spring, are beautiful everywhere. 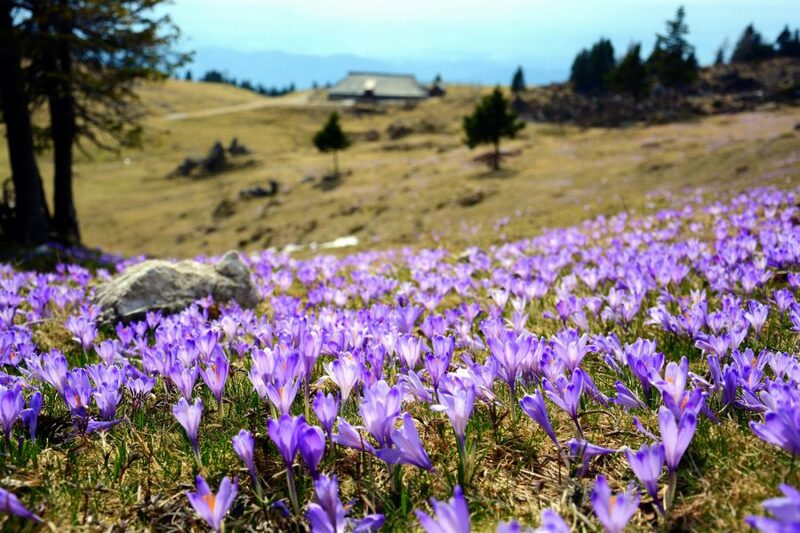 Tako malo je treba, da opazimo lepoto in jo vključimo v življenje. 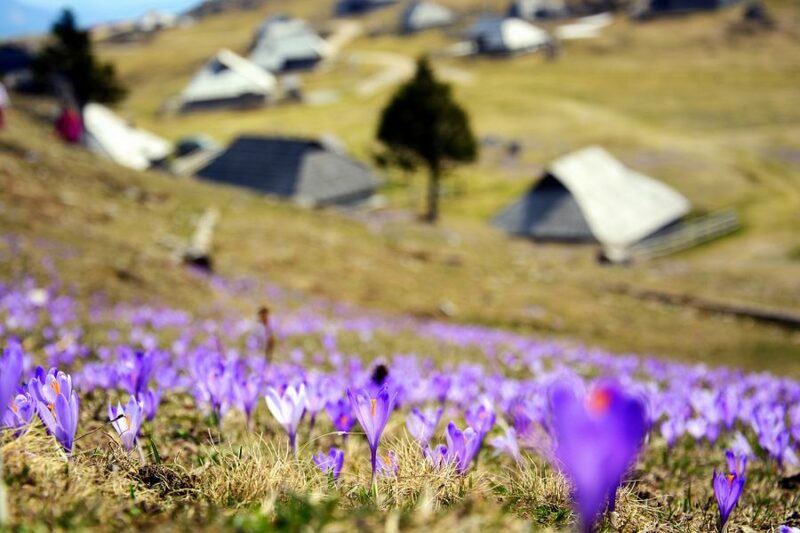 Tukaj in sedaj, vsak dan sproti.